With just weeks left in his term, Governor Jonathan McMillan Davis of Kansas went after an unexpected target. In December of 1922, he led the University of Kansas Board of Administration in firing the school's chancellor, Ernest H. Lindley. The decision was done without a hearing on the basis of several reputed charges, including aloofness from the student body, failing to abide by the board's orders, and partisan politics. The last one in particular brought cries of hypocrisy, given that Davis discharged his Republican appointee to the board, William P. Lambertson, and replaced him with a Democrat soon after Lambertson opposed Lindley's removal. The uproar would blow over almost immediately after Davis left office. Lindley, who had been chancellor at the university since 1920, was reappointed by Davis' Republican successor, Ben S. Paulen, a few days into his term. Lindley would go on to hold the position until his retirement in 1938. But during the tumult, the Lawrence Journal-World criticized the rationale for the firing as trivial and suggested that Davis was engaging in "petty politics" and either taking out his anger over his failed re-election on Lindley or trying to stir up trouble for Paulen. Davis probably thought he was doing the right thing, the newspaper opined, but also suggested that the outgoing governor had an arrogant streak and was especially humiliated at the loss considering his presidential aspirations earlier in the year. The editors felt that his lame duck actions had "caused more grief and humiliation to the state of Kansas than any governor in half a century." Despite these harsh words, the paper said they did not consider him to be dishonest or corrupt. They may well have held off their opinion on this topic if they had been aware of the scandal that would erupt scarcely a week after the editorial ran. Born in Bronson, Kansas in April of 1871, Davis began attending the University of Kansas in 1888 and stayed there until 1891 before transferring to the University of Nebraska. He never graduated, for the death of his father brought him back to his hometown to help manage the family farm. Davis would remain heavily invested in the farm, although he also spent seven years managing a bank. Davis first entered politics in 1900 when he was elected to the state house of representatives. After a prolonged absence, he returned there after winning the 1908 and 1910 elections and became a member of the state senate in 1912. He succeeded in winning the Democratic nomination for governor in 1920, but lost the general election to Republican candidate Henry J. Allen. Two years later, Davis returned to win the election and successfully contested Allen for the title. Described as a "dirt farmer governor," Davis was especially concerned about lowering taxes and helping the state's agricultural workers. In July of 1923, he advised wheat farmers to implement a "selling strike" by storing up supplies to drive up prices. Davis contended that the prices were too low and that he would work with other governors in the Midwest to spread the idea, since buyers would simply go to other markets if only Kansas put the strike into effect. "The only way the farmer can fight for a fair price is to store his wheat and refuse to sell it until he gets a price that is just," he said. 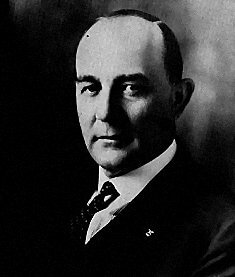 During his term, Davis also oversaw the distribution of $25 million in bonuses to ex-servicemen of World War I, limited banking procedures, put utilities under public control, authorized an improved road bill, and endorsed prohibition and women's suffrage. The populist appeal of Davis was such that there were rumors that he would seek the presidency or a Senate seat. Sure enough, in April of 1924 the Democratic state convention passed a resolution vowing to support his nomination for President at the upcoming national convention. The resolution only asked the delegates to commit themselves to Davis for as long as it was expedient, but in a crowded field his nomination on the national stage was not out of the question. He traveled to the event pledging "to get something done for the farmer" while in office, with a platform including an adjustment of freight rates as well as the credit basis for farmers, reducing tariffs, making credit available to farmers in the same way it was available to businesses, and stabilizing markets. The deadlock between former Secretary of the Treasury William Gibbs McAdoo and New York Governor Al Smith led the convention to choose a John Davis as a compromise candidate, but it was not the Kansas governor. John W. Davis, ambassador to the United Kingdom and a former West Virginia congressman, would go on to unsuccessfully contest Calvin Coolidge for the presidency. In his re-election bid, meanwhile, Davis turned on the organization that had supported him in 1922 and drafted a plank declaring the Democratic Party "unalterably opposed" to the Ku Klux Klan. The Klan shifted its support to the Republican side, aiding candidate Ben Sanford Paulen to victory in November. The firing of Lindley and replacement of Lambertson were not the only lame duck actions that earned Davis criticism during his final months in office. He also came under fire for a questionable series of pardons and paroles. In one case, he pardoned Dr. W.A. Nixon after Nixon had served only a few years behind bars after conviction of the sensational murder of an attorney. In another, he pardoned F.D. Bushnell, who had been charged with swindling a black farmer. The Kansas City Journal eventually got word that Davis was making offers in exchange for cash. They set up a sting operation with the cooperation of Fred Pollman, a former banker who had gone to prison on forgery charges and was on parole at the time. With just three days left in Davis' term, the newspaper set up a hidden listening device in Pollman's room at the Topeka Hotel and gave Pollman marked bills. Government officials and reporters from the Journal listened in from another room as Davis' son, Russell, met with Pollman. Russell left the room after Pollman gave him $1,000, then returned with a pardon from the governor. Pollman then gave Russell another $250. As he was leaving, reporters confronted Russell about the exchange. Caught off-guard, Russell nevertheless said that his father was not involved in the deal. Davis admitted that Russell had been "inveigled into accepting the money" and characterized the incident as a "frame up by my political enemies to 'get me.'" Davis also said he had already decided to grant the pardon when Russell was caught by the newspaper. The Journal also reported that Glenn A. Davis, imprisoned on a murder charge, claimed to have acted as the governor's agent in the Pollman transaction. He said Governor Davis also offered him a pardon in exchange for cash, and rejected his request for parole when he refused. Davis had been uncertain whether he would attend Paulen's inauguration on January 12, 1925, but in the end he wouldn't have a choice. With just hours left in his term, Davis and Russell were arrested on bribery charges. While Paulen took the oath of office, they made their first appearance in court. The scandal soon grew to include Carl J. Peterson, the state bank commissioner and a friend and political adviser to Davis. Investigators charged that Peterson asked convicted banker Walter Grundy for $4,000 in exchange for a pardon and settled for $2,500 after consulting with Davis. Peterson soon resigned, two and a half months before his term was to end. Davis returned to work on the farm until May of 1925, when he faced his first bribery trial in the Grundy case. Davis testified in his own defense, and in the end the jury voted to acquit him. Peterson went to trial on the same issue in February of 1926 and was also acquitted. They were good signs for Davis' second trial, which ran in March and April of that year. Davis reiterated that he knew nothing of his son's deal with Pollman, saying the ex-banker requested one so he could go into the coal mining business and that he acquiesced. Character witnesses also testified on his behalf. Davis was once again acquitted, a verdict which also cleared Russell of charges. The three verdicts rejuvenated Davis, who promptly sued the Journal and others involved in the sting in an unsuccessful claim for $5 million in damages. He considered that his administration had been vindicated and that there was still a political future for him. "I am strong enough to fight and when the farmers want me to run again for governor to carry out to carry out a tax reduction program, the call will be loud enough for me to enter the ring," he said. "But until then I shall stay on the farm." Despite this claim, Davis also told Paulen, "Looks like I'll have to run. And if the Democrats choose me again, and the Republicans renominate you, I hope our friendship will not be impaired." Both men did get re-nominated by their respective parties, though Davis' won by a narrow margin. Out of about 62,000 ballots cast in the primary, he was selected by a margin of only about 1,600 votes. During the general election campaign, he again advocated tax reduction and a compulsory banking law while also speaking against the power of large corporations. With the scandal fresh in the state's memory, however, Paulen was easily able to keep his post. Davis would return to his farm for the remainder of his life, but he would take a crack at elected office at nearly every opportunity. In 1928, he was unopposed for the Democratic nomination for state representative. He withdrew from the race later on, saying he could not campaign and manage the farm at the same time and that it would only be more difficult if he won the election. Two years later, the party chose Nellie Cline to run for Senate; when she failed to file her intent to run, Davis made a surprise bid by filing just before the deadline. Once again, the Republican incumbent cleaned up at the polls as Senator Arthur Capper won a fourth term. In the next years, Davis was able to regain a bit of influence as some legislators and newspapers supported his call for a special legislative session aimed at lowering expenditures and taxes. However, Davis was not able to wrest the Democratic nomination for state senator from incumbent Harry Warren and instead ran an unsuccessful independent campaign. In 1934, for the first time in over a decade, Davis' name didn't appear on the election year ballot. He returned in 1936 to seek the Democratic nomination for governor. He challenged attorney Walter Huxman for the spot, supporting the Townsend Plan for pensioning to open up more employment opportunities for younger residents. As always, Davis also returned to his favorite planks of tax relief and farm support. Huxman won the nomination and went on to win the general election. In 1938, Davis launched an independent campaign for governor. The Democrats opposed the bid, fearing that it would siphon off votes from Huxman. At the final tally, however, Davis mustered just 15,605 votes out of 755,202 cast. Huxman still lost his office, with Republican challenger Payne Ratner decisively winning the gubernatorial election. Two years later, Davis again unsuccessfully challenged Warren for the state senate nomination. By 1942, it seemed that Davis was seeking office out of habit as much as anything else. He briefly considered running for the House of Representatives but instead filed for the Democratic nomination for lieutenant governor. In the four-way race, Davis narrowly won the nomination to appear in the general election for the first time in 16 years. Voters still favored the GOP, however, with Jess C. Denious winning lieutenant governor and Andrew F. Schoeppel becoming governor. It was the last race Davis attempted. He died seven months later, in June of 1943.